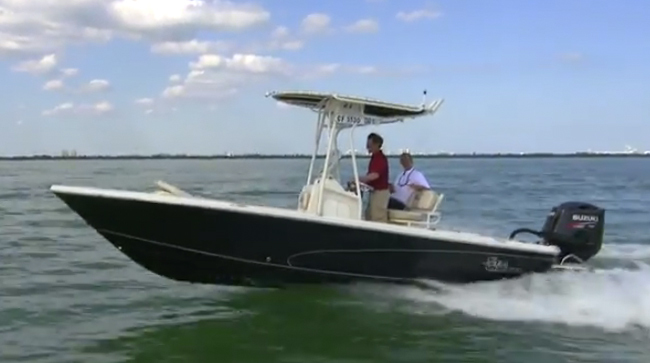 The 2015 Carolina Skiff Sea Chaser 23 LX Bay Runner lets you fish hard, without breaking the bank. Just one short year ago we told you about a new bay boat from Carolina Skiff, the Sea Chaser 21 LX Bay Runner. 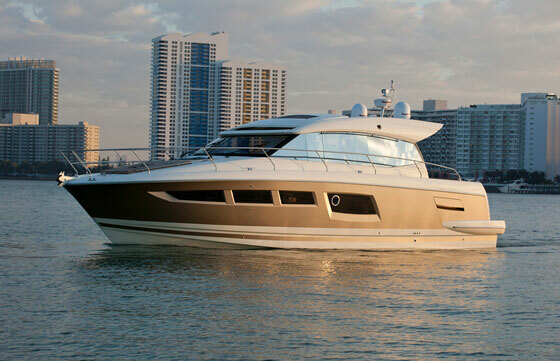 At this year’s Miami Boat Show, we had the chance to run that boat’s bigger brother, the 2015 Sea Chaser 23 LX Bay Runner. First impressions? It’s bigger and a bit bolder than its smaller sibling, but like the 21 LX, the 23 foot version keeps price in check. Looking for a bay boat that comes at a reasonable price? The Carolina Skiff Sea Chaser 23 LX Bay Runner should hold a lot of potential. Let’s not mince words: Carolina Skiffs are known for being well-built, utilitarian vessels—nothing fancy, nothing high-tech, and nothing too expensive. And in today’s boat market, where a bay boat in this size range can cost you upwards of $80,000, that’s a big deal. So, where does the 23 LX Bay Runner fit into the pricing puzzle? A hair over $25,000 is the bare-bones price. Of course, that’s not a realistic number for someone who wants a complete package. 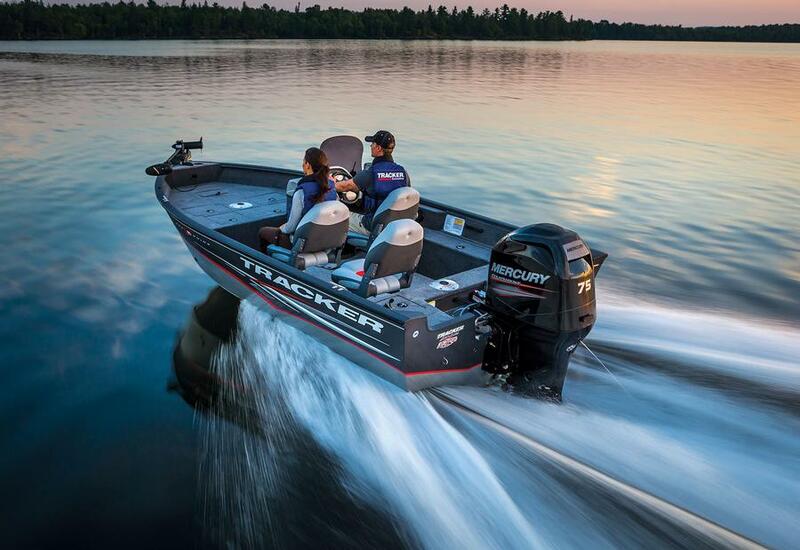 Rig the boat for top fishing and performance and you’re looking at passing the $40,000 mark, which is still a whole lot less than the competition. Just what does that bang for your buck get you? For starters, a deck layout that’s dedicated to fishing, foremost. 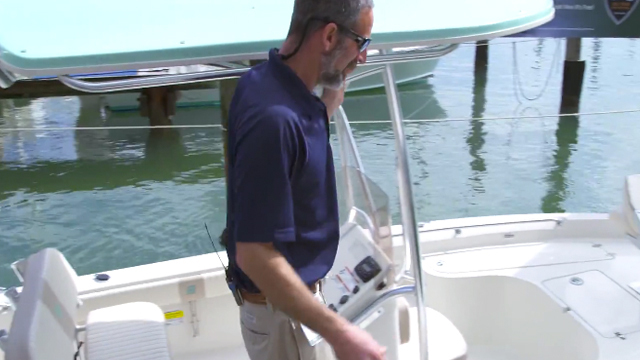 The aft casting deck has a pair of flip-up seats and a livewell, and the forward casting deck has locking stowage and an (optional) pedestal-mount fishing seat. It’s a bit unusual for a bay boat and the move is taken right out of the bass boat play-book. What’s even more unusual is the level of the deck, which is several inches lower than you’ll often find on bay boats. The advantage is a feeling of security as you stand a bit deeper inside the gunwales. On the flip side, as you give up elevation you give up visibility and the ability to spot fish in the shallows. The console is kept svelte, again in a nod to fishing. Sure, that means the enclosed head compartment is a bit on the cramped side, but it also means there’s a lot more walking-around room in the boat. Note that a few of the fishing must-haves, like gunwale-mounted rodholders, a raw water washdown, T-top with Sunbrella and rocket launchers, and the leaning post with 32-gallon livewell, are options. Make sure you get them. One of the biggest cost-adding options is, of course, the powerplant. While the 23 LX Bay Runner is rated for 250 horses, our test boat had a 200 HP Suzuki outboard on the transom and IMHO, that provided plenty of power. We cruised at well over 30 MPH and topped 40 MPH at wide-open throttle. Biscayne Bay was thoroughly riled up with boat wakes, and in flat water with a light load, this rig may well get north of 45 MPH. If you’re a speed freak, sure, spend the extra cash to get the horsepower boost, but for the average angler, 200 ponies are plenty. More about that riled-up water: it provided plenty of challenge for the 16-degree deadrise hull, and we did get tossed around a bit. That’s not unusual in bay boats like this, which are designed with moderate deadrise to reduce draft and allow for quick planning and faster cruising. You play, you pay. One aspect of the 23 LX Bay runner that’s a bit of a surprise, however, is the way the boat is finished. Carolina Skiffs are not known for their great looks and fine detailing, but they’ve clearly taken some extra care with this model. Our test boat had a black hull that matched the Suzuki’s black finish. Cushion fabrics were two-tone, lights were slick LEDs, and cleats were pull-ups. 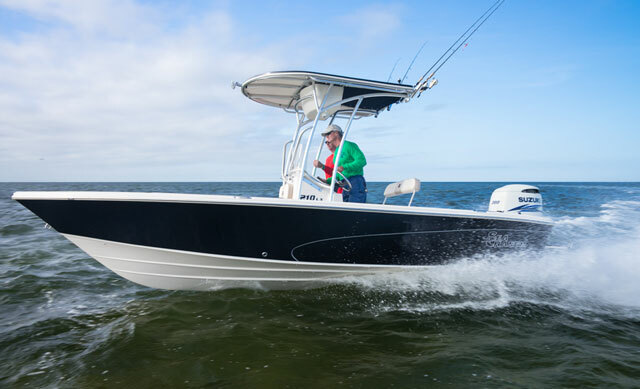 When all is said and done, the Sea Chaser 23 LX Bay Runner is exactly what it appears to be: a value-oriented boat that delivers solid construction, good performance, and good fishability. There are a few surprising details like that above-par finish work, but on the whole, what you see is what you get—and considering how expensive boats are these days, it seems like what you get is quite a bit or bang for your buck. Other Choices: You're going to have a tough time matching this price point in a bay boat, and although the Mako 21 LTS is a bit smaller and lighter, it's competitive pricing makes it worth considering. Another option would be to consider an aluminum rig instead, like the Lowe 22 Bay. For more information, visit Carolina Skiff. 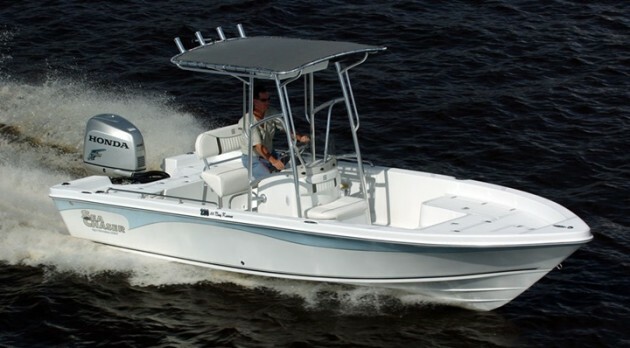 See Carolina Skiff Sea Chaser bay boat listings.